I love writing about sign languages from all around the world, but sometimes the written word isn’t the easiest way to convey what a sign looks like. Recently, I went looking for GIFs of signs that appear in my story Reading the Signs, which features Dutch Sign Language (Nederlandse Gebarentaal or NGt), and my story What Marriage Is About, which features German Sign Language (Deutsche Gebärdensprache or DGS). But I couldn’t find any! So I decided to make some accompanying GIFs from various teaching videos I’d found around the web. 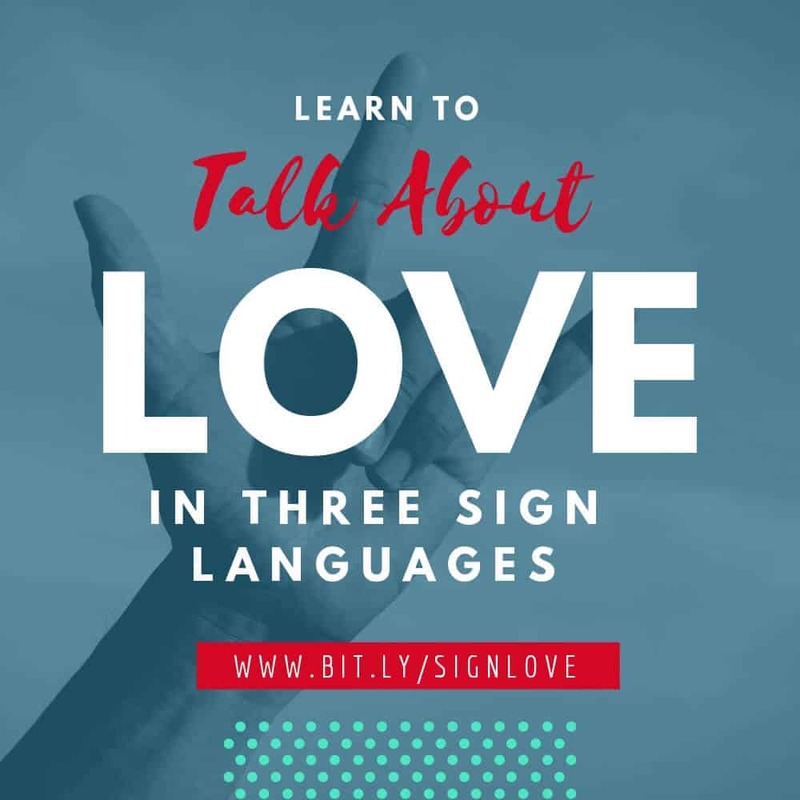 In this post, I’m sharing some of the GIFs I made along with a bunch of love-related words in American Sign Language I borrowed from GIPHY’s huge library of ASL signs. Since a whole page full of moving GIFs can be overwhelming, I’ve added hide/show tabs so you don’t have to see all of them at once unless you like. Just press [+] to show a sign, and [-] to hide it. Share it on GIPHY or watch the YouTube video. Share on GIPHY or watch the video. Share it on GIPHY or watch the video on www.spreadthesign.com. This uses three signs: The one for I or me, the one for love, and the one for you. 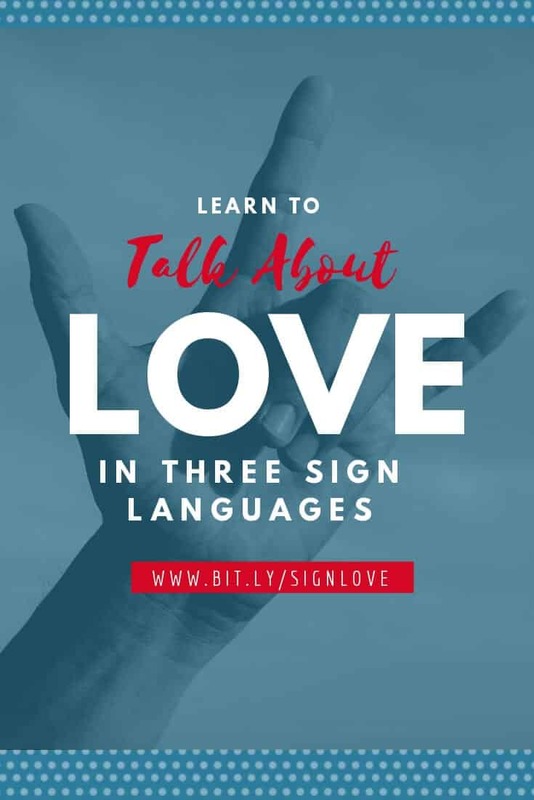 This sign is also called the “ILY sign” because it combines the handshapes of fingerspelled American Sign Language letters I, L and Y. its roots are as an abbreviation of the written English phrase, I love you. It has caught on in other countries throughout the world, including the Netherlands.